To say that personal GPS tracker technology has come a long way in the last few years is probably something of an understatement. What was once used almost exclusively for turn-by-turn directions is now a powerful data collection and creation tool, designed to give both professionals and consumers alike access to the actionable information they need to make the best decisions possible at all times. But if you're getting ready to invest in a personal GPS tracker of your own, it's important to acknowledge that not all units are the same. To make sure that you're buying something that will work in all the ways you need it to, there are a few important points you're going to want to keep in mind. 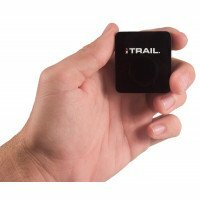 Overall, the most critical thing for you to understand is that not all personal GPS trackers are created equally. Many of them offer features that are designed to service a particular set of needs. Because of that, you'll want to start by making a list of all the reasons why you want to make this type of investment in the first place. Then, compare that list to the options on any model you're thinking of buying to give yourself the best possible chance at walking away with something that meets or exceeds your expectations. One of the most important features to pay attention to has to do with the ways in which a GPS tracker will alert you when certain types of events happen. 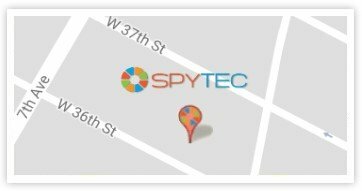 If you're installing a personal GPS tracker on your vehicle and that car moves, for example, some devices will instantly send you a phone or email alert so you know as soon as possible. If your vehicle is being stolen, you're entering into a situation where literally every second counts. These alerts make sure you're aware of important events immediately, giving you the best possible chance at the right reaction. Another feature you'll want to pay attention to has to do with how you gain access to the data your personal GPS tracker collects. Some units require you to have physical access to the device so that you can plug it into a computer and retrieve that information. There's nothing inherently wrong with this, but more advanced GPS trackers give you a wider array of options to choose from. 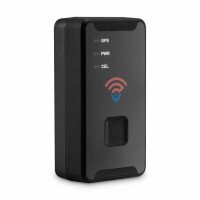 For the best results, look for a personal GPS tracker that offers real-time tracking via an Internet connection. Many units allow you to access data anywhere, including from devices like a tablet or smartphone. If you're trying to monitor your teenage driver who is out past curfew, you can't necessarily wait for them to come home to find out what they've been up to. 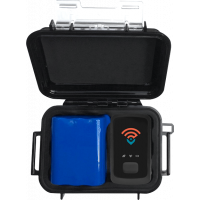 With the right personal GPS tracker, you can just log into your account on a website and instantly see where they are or where they might be headed - giving you access to all of the information you need to make the best decision possible at all times.